The 2019 Fishing News Awards would not be possible without the generous support of our valued sponsors and supporters. Established in 1882, Sunderland Marine Insurance Company Ltd has been providing marine insurance for over 130 years. Sunderland Marine’s highly qualified and knowledgeable teams of underwriters, surveyors and claims staff ensure that clients are provided with high levels of service and comprehensive insurance policies. Sunderland Marine is also at the forefront of promoting safety at sea and regularly contributes to and sponsors training programmes in the UK and overseas. We are able to offer a full package to our clients to provide for their marine insurance needs. Sunderland Marine covers a wide range of insurances including Hull & Machinery, P&I, Personal Accident and Aquaculture. Our experienced team of P&I claims handlers are also supported by a worldwide network of legal and adjusting professionals to give the very best service at times of need. Box Pool Solutions (BPS) began trading in 2005 and has progressed since then to become the number one box provider in Scotland. BPS was created by the fishing industry for the fishing Industry; our shareholders represent every area of the seafood business. Renowned for our quality of service and focus on customer satisfaction BPS has very much become an acronym for commitment and consistency, our guarantee to detail and customer satisfaction is the understated element of our business model. With established distribution points across all the major Scottish ports and the north east of England BPS have recently expanded operations to Hanstholm on the north coast of Denmark, which makes us a truly international set-up. BPS is committed to the fishing industry now and for the years ahead, we support an industry that very much supports us. Many readers will have visited the grand and historic Fishmongers’ Hall next to London Bridge in the heart of London. Fishmongers’ Hall is owned by The Fishmongers’ Company, which is one of the Great Twelve Livery Companies of the City of London. 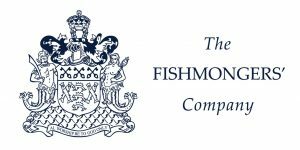 For over 700 years, The Fishmongers’ Company has upheld standards in the trading of fish and shellfish, and supported the fisheries industry. The aim of the company today is to promote a healthy, prosperous and sustainable fish and fisheries sector for the longterm benefit of the United Kingdom. In order to recognise the huge steps already taken by the British fishing industry in making the industry more sustainable, and to encourage further innovation and achievement in this respect, the company has decided to sponsor an annual ‘Sustainability Award’. We are proud of our heritage as the UK’s largest white fish and pelagic (mackerel and herring) port and are building on our reputation as a traditional centre of excellence for both fishing fleets by providing a full range of constantly updated modern quayside services including on-site fish market, ice and water plants, fuel supplies, and ship repair and maintenance at our slipway, syncrolift and dry dock. Peterhead Port Authority is sponsoring the Demersal Fisherman of the Year Award at the 2019 Fishing News Awards. Seafish was founded in 1981 by an Act of Parliament and aims to support all sectors of the seafood industry for a sustainable, profitable and socially responsible future. It is the only pan-industry body offering services to all parts of the industry, from the start of the supply chain at catching and aquaculture; through processing, importers, exporters and distributors of seafood right through to restaurants and retailers. Funded by a levy on the first sale of seafood landed in the UK, Seafish offers a range of services to support the seafood industry. These include technical research and development, responsible sourcing initiatives, economic consulting, market research, industry accreditation, safety training for fishermen and legislative advice.